If you're flying to or from Libera airport, or visiting the Guanacaste Province, this almost-hidden, semi-secret waterfall is a must-see. Parking is easily accessible and it's a short hike to get to this amazing swimming hole with a 66-foot-high waterfall for a quick dip. This is where the locals hang, so it feels very authentic and off-the-beaten-path. If you're lucky, you'll catch a glimpse of howler monkeys in the trees above and can chalk it up to one of those "best days ever" on a vacation. 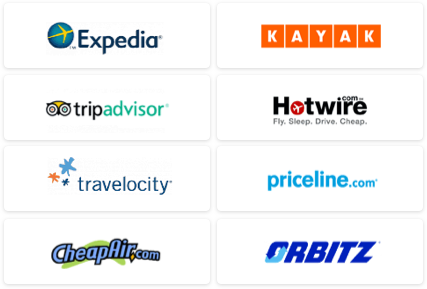 No entrance fee, but parking fee varies. This mammoth of a waterfall is located in a privately owned reserve of Bajos del Toro Amarillo, just a short drive from the El Silenco Lodge and Spa where I had the pleasure of staying. I had the waterfall all to myself, as there was a major storm the day of my visit (they even offered me a refund on the $10 entrance fee!). But the pounding rain didn't stop my hike down to the dark, deep waters of Bajos del Toro. A warning: The descent is a beast – even for the physically fit – but the mind-blowing views were worth the aching thighs. 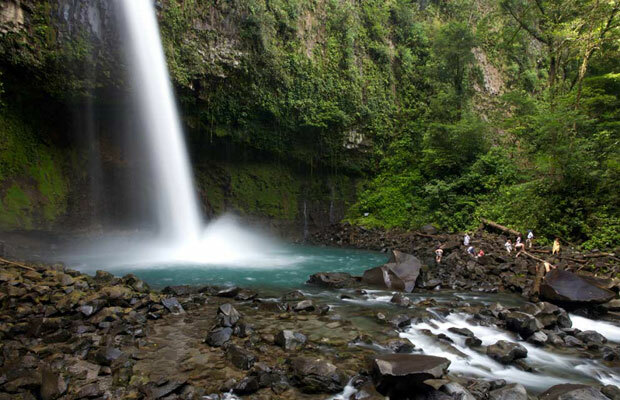 A well-known waterfall, La Fortuna, is the beauty queen among this list. Located just three miles from downtown Arenal, I traveled with a group on horseback and climbed down nearly 1,000 stairs to the bottom for a much-needed dip. The sparkling, chilly pool offers relief from the Costa Rican heat, but be careful of the force from the fall's 230 feet of powerful rushing waters. You shouldn't swim in the pool to falls empties into; the waters become a slow-moving lake that's great for a swim. $8 entrance fee. 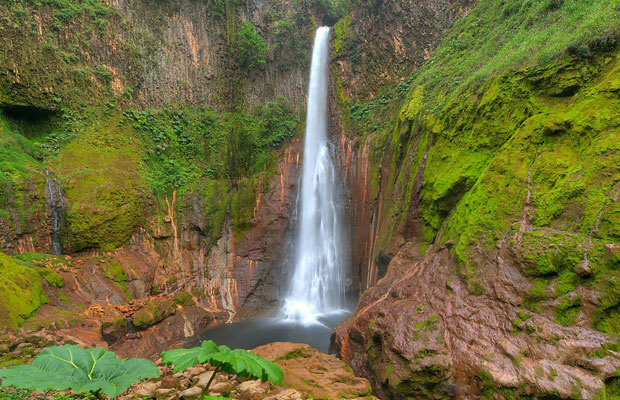 If nature's your jam, then you'll want to pay a visit La Paz Waterfall Gardens. Just a short drive from San Jose, this waterfall-garden-combo is where exotic birds and wildlife live and play among lush greenery and numerous waterfalls (think: frogs, snakes, sloths, jaguars, and creepy crawlies galore). In fact, there are over 100 species of animals hanging out at La Paz. While I steered clear of the creepy crawlies, I loved that the paths where easy for meandering, and with five waterfalls, a cloud and rain forest, this place offered a lot of bang for your buck. $36 entrance fee. 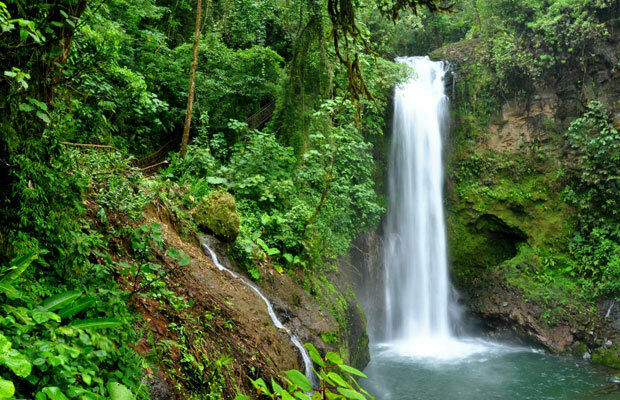 What's your favorite waterfall in Costa Rica? Did we miss it?